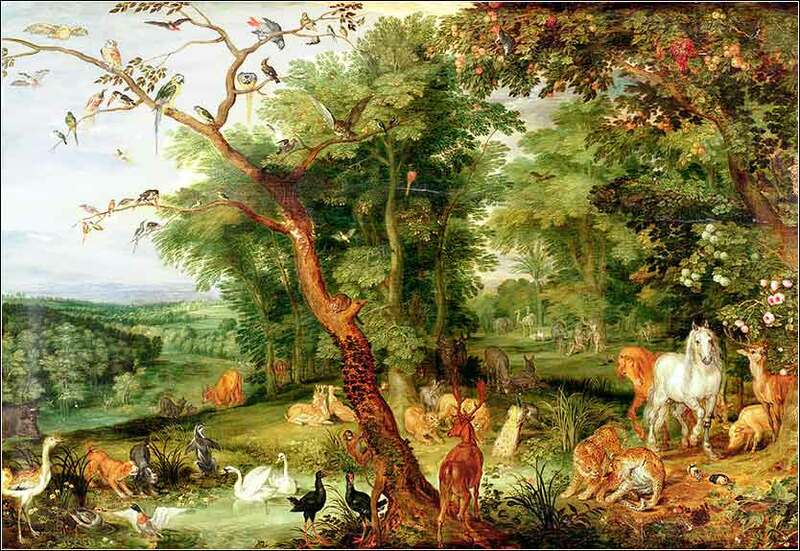 The Garden of Eden, by Jan Brueghel the Elder, ca. 1610. 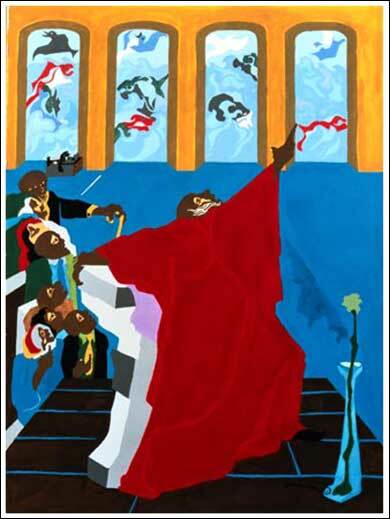 “And God created all the fowl of the air and the fishes of the sea” by Jacob Lawrence, from The First Book of Moses, Called Genesis, 1989.